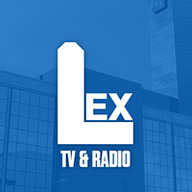 LexTVandRadio had the most liked content! Definitely new graphics but I would be totally amazing if WTVQ went with Linear Drift. This is Morris we are talking about haha. WKRN would be one of those. Back to the WTEN set... is it near completion? It is a very nice set for WATE... Still waiting on the WBIR Tegna set to come next, but this is the best set in Knoxville for sure. Latest update: I think they've had some flooring issues. I wouldn't mind that. Nexstar already owns WTVQ's tower I guess from the Media General days. The 15th has passed, we will see if it happens this week or this month. Time lapse video, taking down the set. Some updates photos. It is a small studio. WKYT has had these weather graphics for a few months and I am a fan of them. It's a clean look and takes advantage of the full screen. Looks like a new set is on the way for WTVQ. This one has been around since Late 2008 when they went HD and bought by Morris.